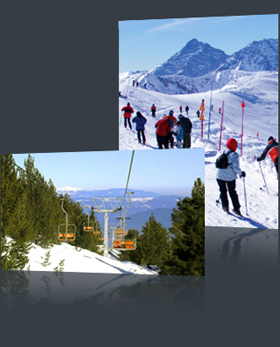 The project envisages development of a new ski zone in Dobrinishte, which will include 44 km. of ski slopes, a gondola lift and ski equipment units. Its execution is projected for a 3 year-period and will represent a total investment of EUR 35 mln. Dobriniste Residential Development is an innovative residential project situated within a few minutes from the center of Dobriniste, in a zone with great potential. One of the main advantages of the Dobrinishte region is the mineral water resources which spell a bright future for the development of the balneology sector. • Villas - with unrestricted and picturesque view of the valley, the central part of the resort and the breathtaking mountain slopes. 90 private, one family villas designed in 3 types of traditional architecture common for the mountainous areas.